Karaoke, DJ and Bandaoke services. We recently hired Don for our VFW National Service Officer Training Conference and we couldn't be happier. Right from the start Don was professional, courteous, and accommodating. He showed up early to set up and once he started he had everyone up and dancing and singing. We had a few timid people that wanted to sing and Don made them feel comfortable and helped them out so that they could have fun singing too. We definitely recommend Don to anyone who is looking for a good karaoke DJ. Loved every second of the party! Loved how he came out in the crowd and started the party. Passed out microphones and made everyone comfortable! Would love to work with him again! Very Soon! Hi Tyrel, Thanks for hiring me. It was a party for the history books. It was a lot of fun. Don. We really enjoyed this experience. My company was extremely happy and we had an amazing time! We went over time because we were having so much fun! SingOutaTune did a great job w/ our event. Kept the music and karaoke moving along and were engaged w/ the participants. Highly recommend! They were great! They had every song requested for my daughter's birthday party - and very patient with a bunch of loud 12 year olds! Don was absolutely amazing. Did a fantastic job at our annual company awards banquet. The absolute best customer service you could ask for. Also very responsive to emails, calls and goes out of his way to make sure your event is flawless. Definitely will use Don again! Don did great for our holiday party! Don was attentive and helpful for our staff holiday party. We had it at a smaller venue and Don was able to accommodate with the correct equipment and gave us the best DJ Karaoke experience we've had! 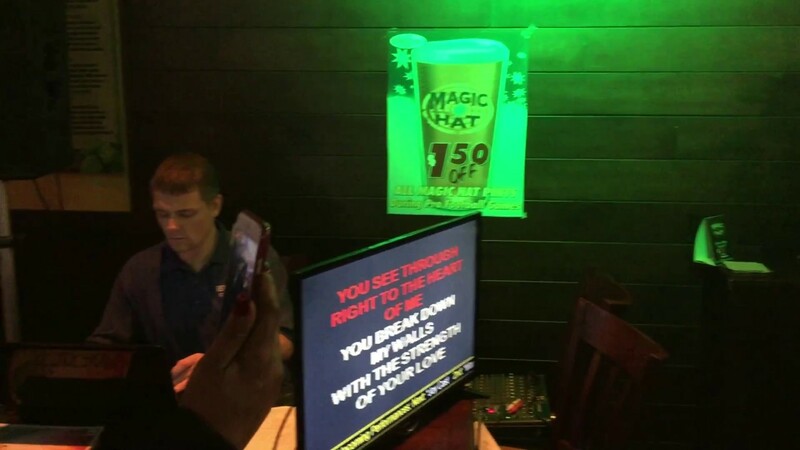 We hired SingOutaTune for a surprise birthday party for a friend after an earlier karaoke dj told us he would need several hours to set up his ewuipment. We ended up paying less for the services of Don and his son and getting way more! They set up quickly and kept the party going for hours for our group of theater nerds. They rolled with all of our song requests and impromptu dance parties and mashup songs and encouraged us thoroughly! The music selection was wide and varied and perfect for our crowd. Overall we really loved SingOutaTund. We're already trying to think of what event we can hire them for next. No literally. We have seen Don in action on more than one occasion doing his Karaoke thing and we love him. he gets you up on your feet dancing and you don't want to stop. Do your self a favor and go check out Singoutatune, LLC . Trust me, you will want to hire him for your next event. I am the Entertainment Director of VFW Post 1503(The Largest Post in the USA) Don not only played a great mix of songs he kept the Party going and our Members Dancing and Singing all night. a god time for young and Old. We would gladly hire this KJ for our next Event! IF A KJ COULD HAVE A GROUPIE, THAT WOULD BE ME. I happily write this review for Don Bruce. If a KJ could have a DJ, that would be me. I first met Don over a year ago at The Breeze in Herndon, VA. It was an awesome experience because not only could he sing, he really interacted with the crowd. He is always fair and never plays favorites like so many other KJs. He is always happy to join you in duets, or to help you if you are a little shy at first. I have traveled from my home in Virginia Beach all the way to NoVA just to go Karaoke where Don is playing. I have also traveled to NoVa on several occasions to watch his band play for different venues. I cannot say enough about Don Bruce. You will just have to go check him out to find see for yourself how awesome he is. Versatility, Competence and Experience Singing Out! Don did a great job for us, He's a real pro and had everybody involved. Don did a great job for us. Just about everybody was singing or dancing, We received many positive compliments on this unique addition to our party, What a unique array of DJ, Performer and Karoke! We are the party primer to get people dancing and singing. Lead guitarist and vocalist with the Air Force Band. Singer with the National Philharmonic Orchestra at the Strathmore. I have been in music as a performer, teacher, DJ and Karaoke host for many years for all kinds of functions. We will need at least five 15 Amp breakers for a 1,000 person audience. All popular Top 10 dance songs from the last 8 decades. We perform the most popular songs from the most popular artists.